Men's shirts can be rather boring, can't they? I have a number of them laying around, thanks to Manbacon. The worn out ones have been turned into rags, but those in good condition are great for quick refashioning projects. For this blouse, I started by taking apart all the seams of the original shirt, so I was left with a number of flat pieces of fabric. 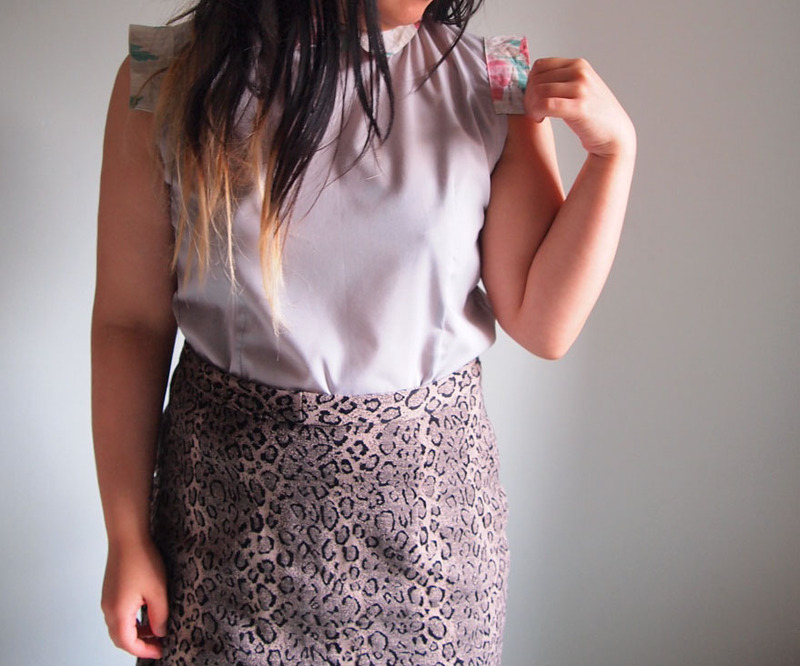 I then traced out a bodice pattern and re-sewed the blouse, turning it around so the buttons were on the back. The collar turned out to be that bit too small for the neck of the new blouse ('measure twice, cut once' evidently not one of my favourite phrases). I got around the problem by attaching a length of vintage seam vintage to each side of the collar to function as ties. 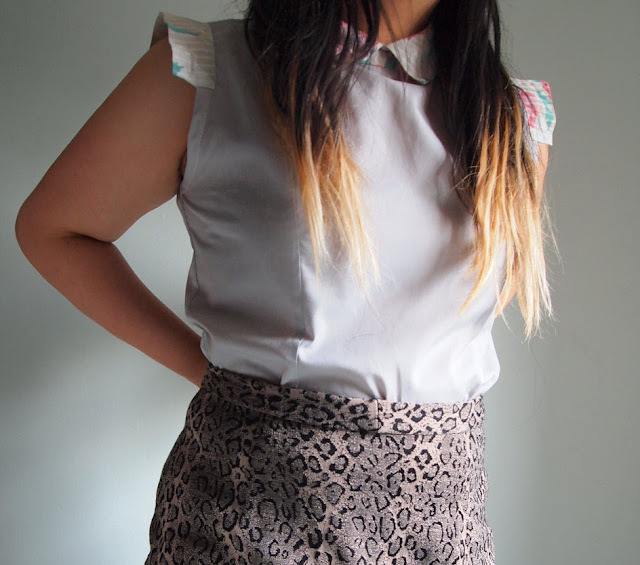 And there you go - an easy refashioned blouse!